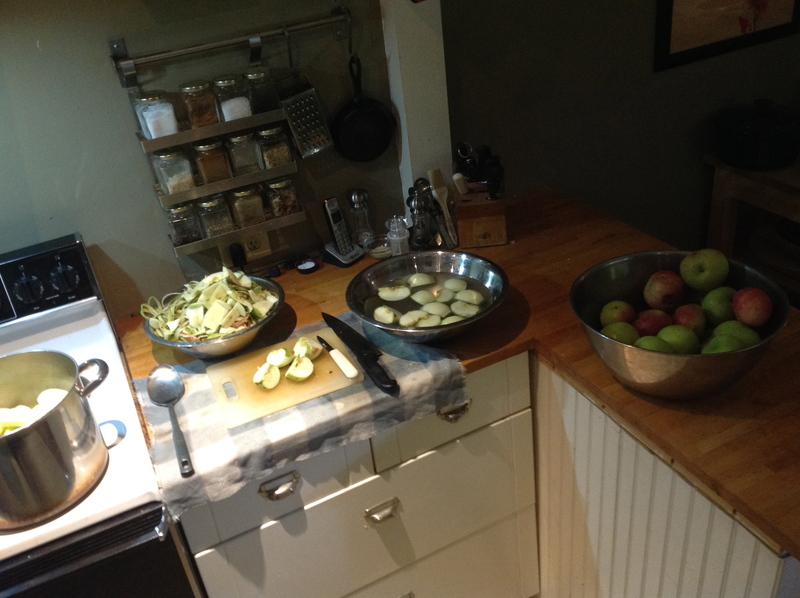 With the bonanza of apples resting in the basement right now, Junior and I have been busy perfecting apple crisp. I have often thought of apple crisp as the lazy baker’s apple pie, and while that may be partly true, apple crisp is a delicious, soul-warming comfort food all on its own. Rather than the incomparable buttery flake of pâte brisée, the topping of a crisp has several different pleasing elements. The crisp topping I enjoy has the nuttiness of Emmer, a depth of sweet brought by coconut palm sugar, paired with a smidge of dark brown sugar, only a bit of rolled oats, and very cold butter, chopped in, luxuriously coated by the flour and sugars. Another factor contributing to apple crisp’s lazy reputation is that the apples don’t have to be peeled. Since this dessert is already homey and rustic, left-on peel adds fiber and increased nutrition to the dish. Baked apple peel may take getting used to, so I generally go partial peel, using my apple peeling device to remove most of the skin, but not obsessing with any bits not captured. 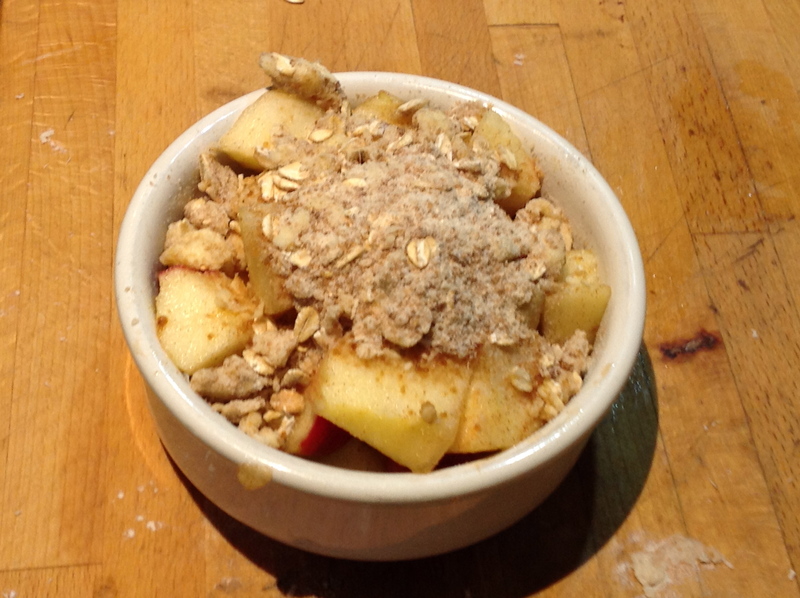 Apple crisp can also be made in individual baking dishes, assembled then frozen to be baked later. I love the look of, and indulgence felt by, my own, just-for-me dessert dish. If you keep the added sugars low, this can make a lovely winter morning warming breakfast. 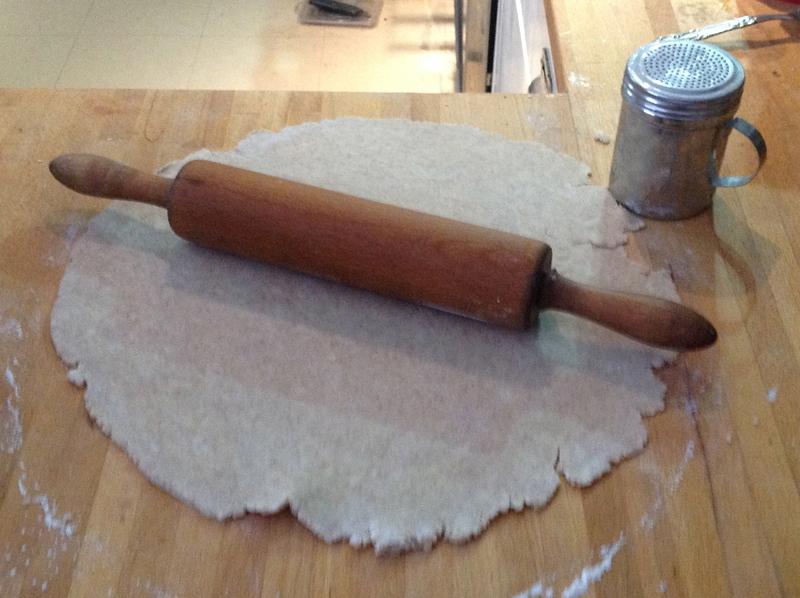 Here’s our latest version, but experiment with other flours such as Emmer or spelt or Einkorn. 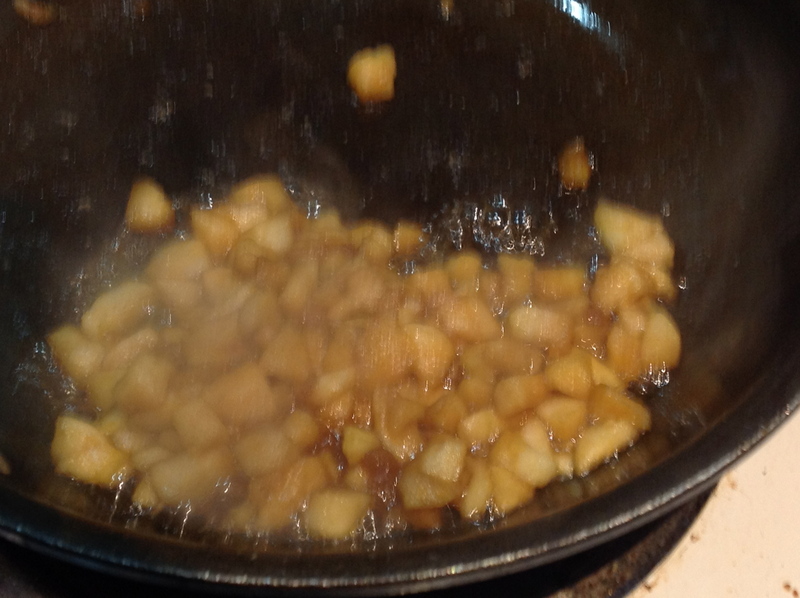 Toss the apples with honey instead of granulated sugar. Increase the oats or eliminate entirely. Try adding nutmeg or cardamom or use a mix of different apple varieties. Have fun! 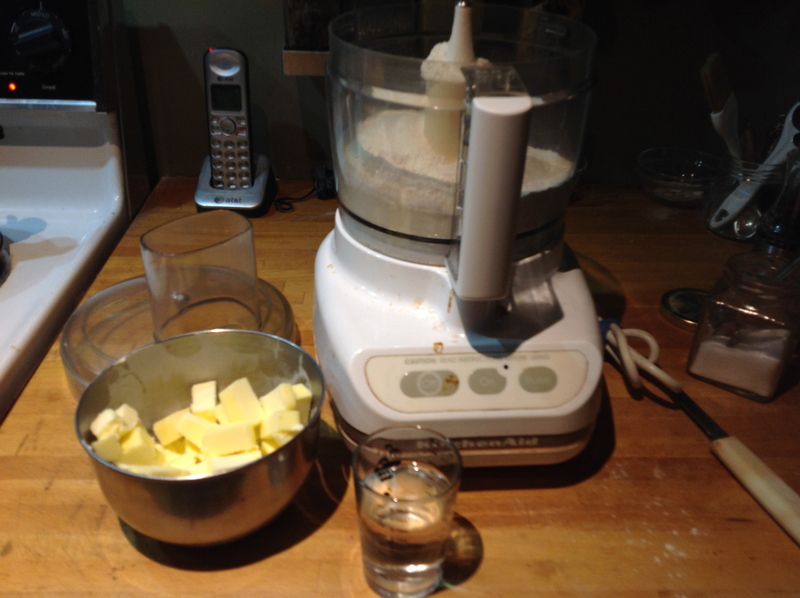 Rub 1 tablespoon of butter all over the inside of a 8-x 8-inch baking dish or 4-5 4 1/2-inch ramekins. Set aside. Prepare the apples: peel then cut into quarters and remove the core. 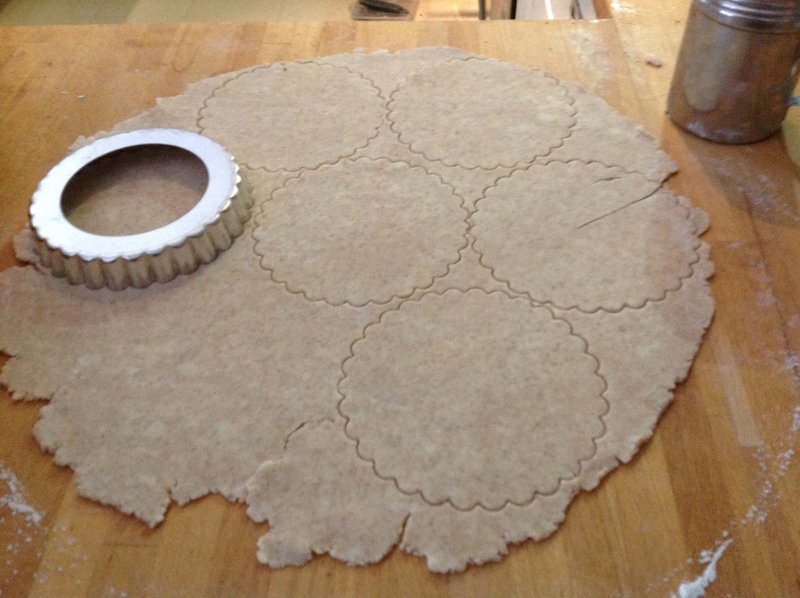 Cut each quarter into 3 or 4 pieces so they are about ½-inch chunks. Place the apples into a large bowl and toss with the fresh lemon juice, cinnamon, and the 2 tablespoons of granulated sugar. Pour the apple mixture into the baking dish. Set aside. 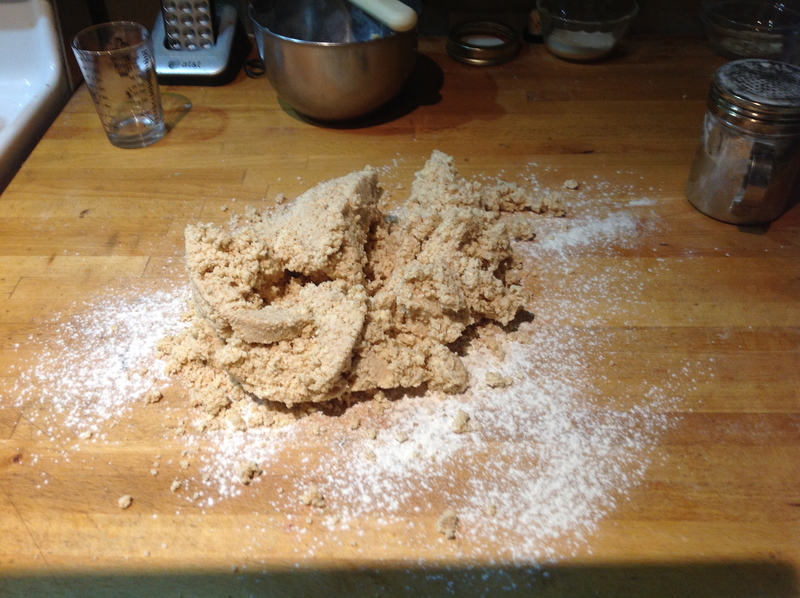 In a medium-sized bowl, mix together flour, brown sugar, salt, and the 1 tablespoon granulated sugar. 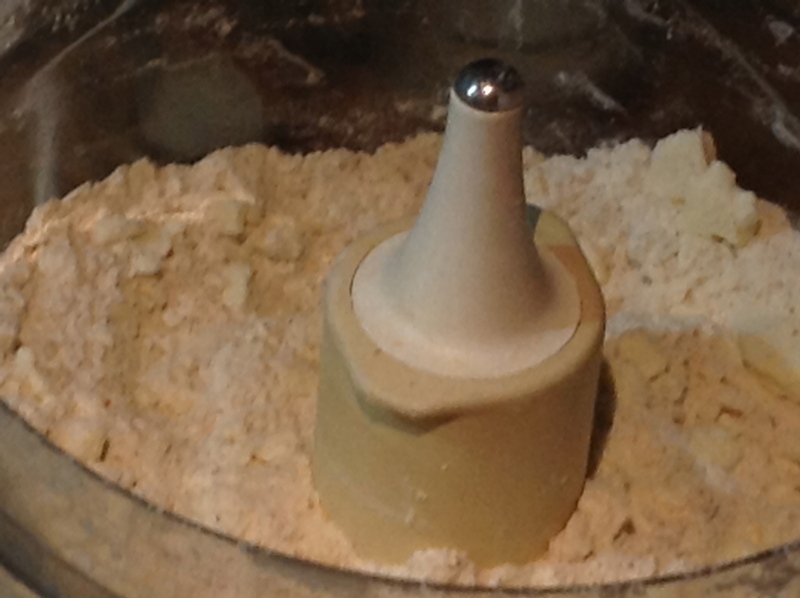 Cut butter into flour, using a pastry blender until the butter looks like small peas.Add oats, mixing with the pastry blender until combined. 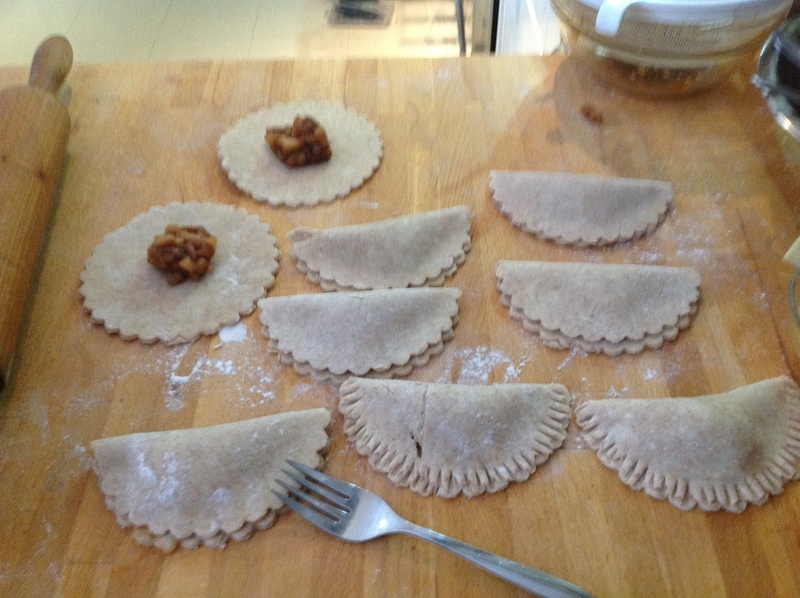 Sprinkle the flour mixture on top of the apples. 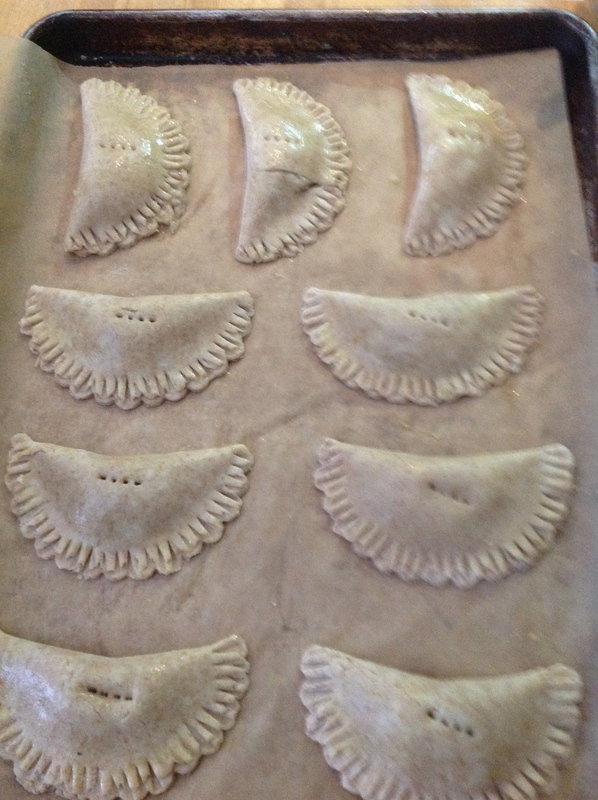 Place baking dish on a rimmed baking sheet, and bake until golden and bubbling, 45 to 55 minutes, or until bubbling. If using individual ramekins, check for doneness at 40 minutes. 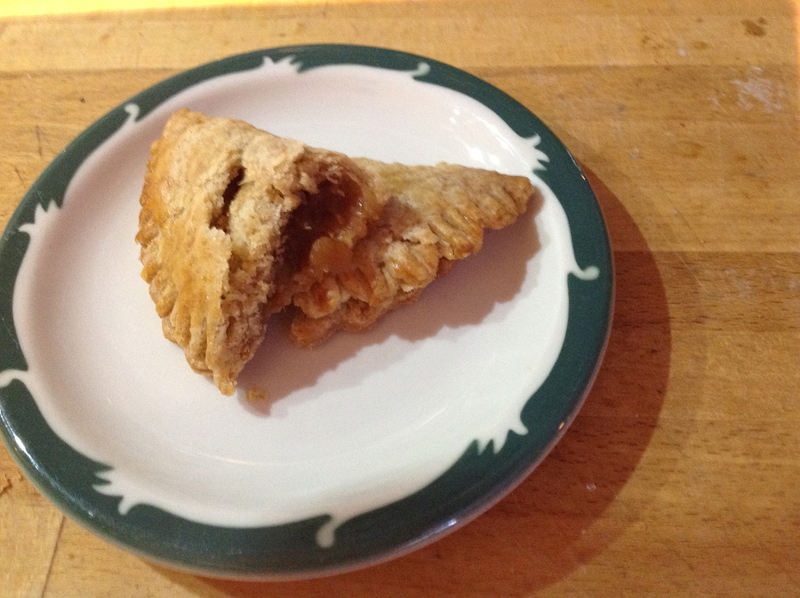 Growing up, we had three apple trees in the front yard: 1 Gravenstein and 2 Kings.Well before this pest moved into Western Washington, these three trees provided loads of applesauce, apple crisps, apple pies, apples for fresh-eating, and limbs for climbing. My parents weren’t champion arbor- or orchardists, but they watered, pruned, and picked, giving me a general sense of what it meant to have fruit trees. The Gravenstein, always the smallest of the three, survived several years with crutches after my aged grandfather backed the Imperial into it, finally succumbing to all manner of problems, while the Kings live on. These days, I buy boxes of apples from Columbia Valley farmers, transactions orchestrated by some very diligent farm-to-consumer advocates. I feel Christmas as I haul the 40-pound boxes of Honeycrisp or Braeburn or Elstar into the house. Early in this growing season, orchards were hit with hail, causing cosmetic damage to much of the fruit. The organic fruit while scarred, is delicious and pest-free, but as it is ugly, is barred from selling through normal market avenues, so comes to me as a bargain. Applesauce is easily made in two ways. 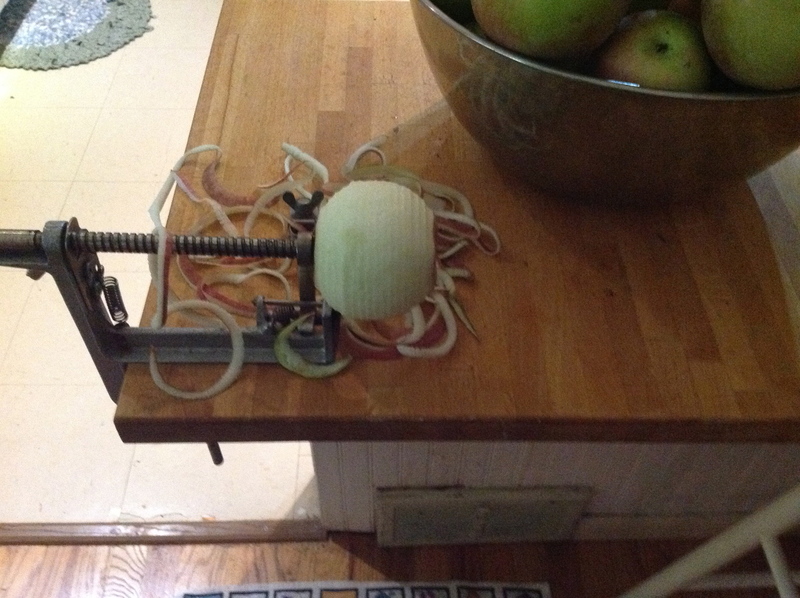 First, the apples can be peeled, cored, and roughly chopped before hitting the pan, or second, they can be quartered, then food-milled after cooking to remove seeds and peel. Today I chose to do all the work at the beginning of the process, when I still felt inspired and motivated. 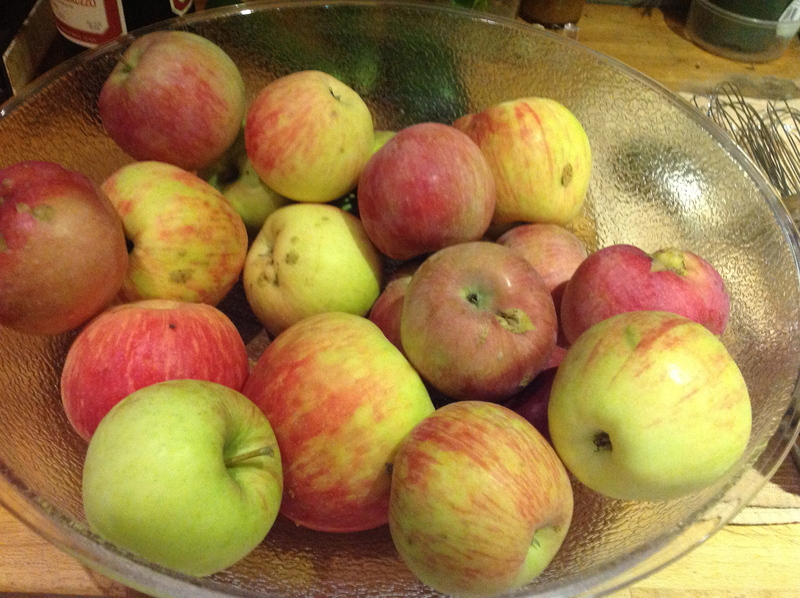 Life can change rapidly in the course of cooking down a pot of apples! One-woman assembly line, terribly lighted. Once the pan is full, I add only a bit of water to keep the apples from scorching until they start to let go of their own juice. 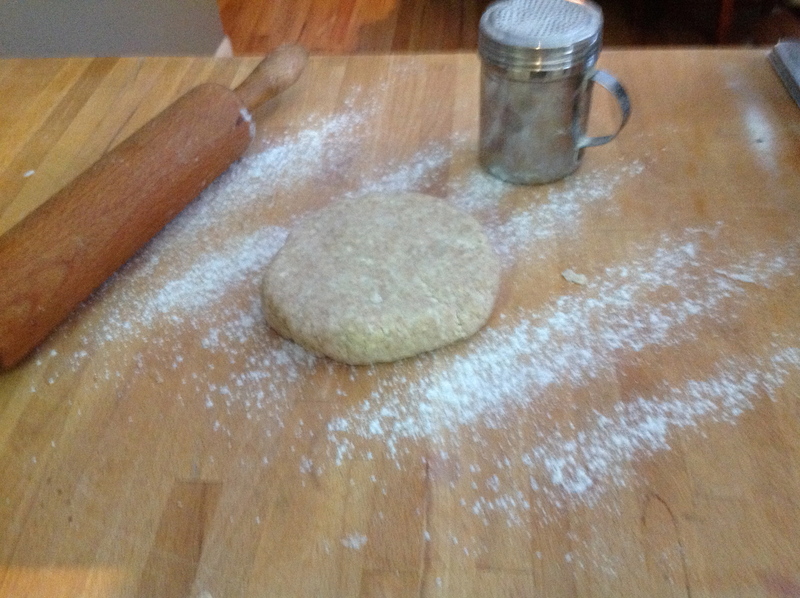 Lidded, the cooking process doesn’t take too long, maybe 30 minutes. 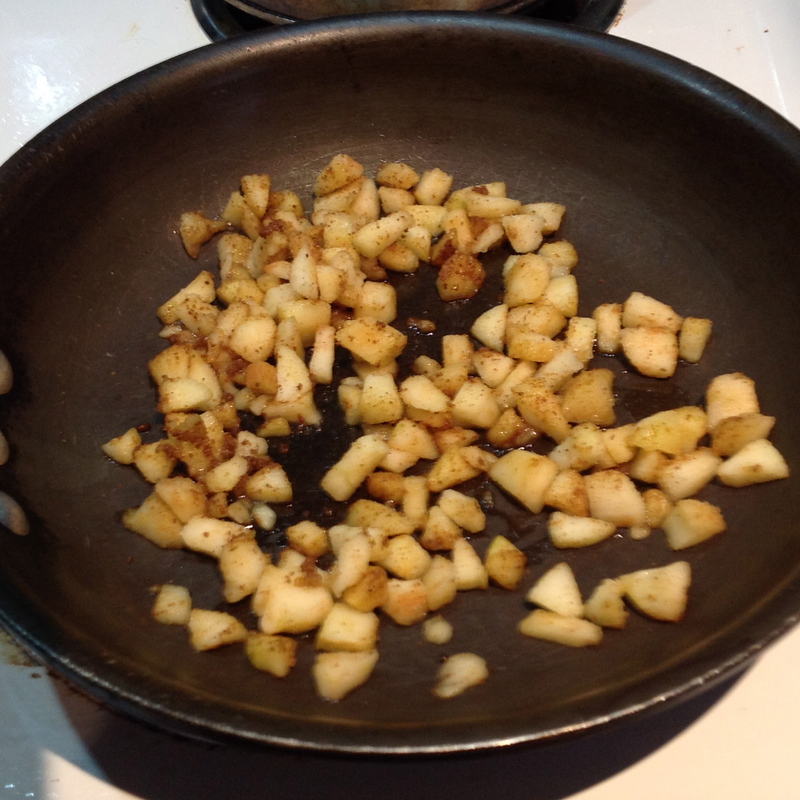 It is important to stir the mass, especially if using a large pot, as the natural sugars will burn. After cooking, the sauce can be frozen or water-bath processed in canning jars. 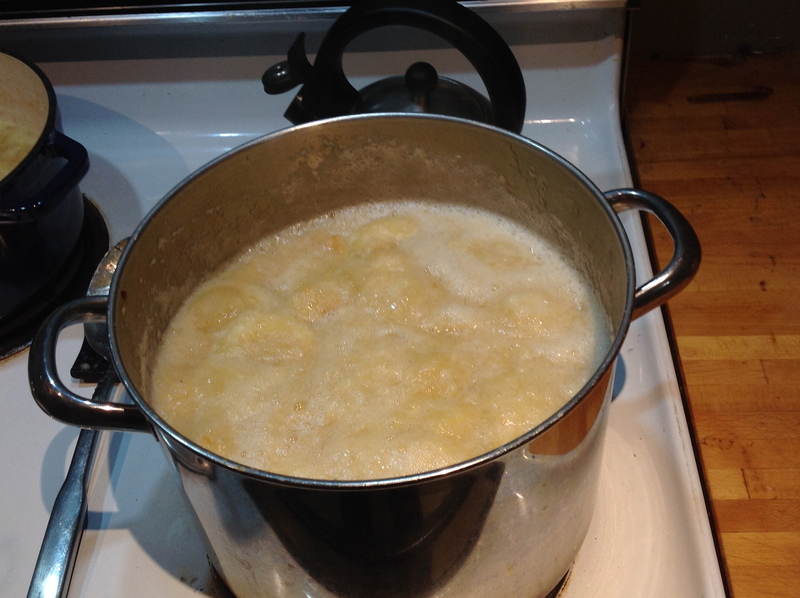 Water-bath canning is a great way to store applesauce when the freezer is full. 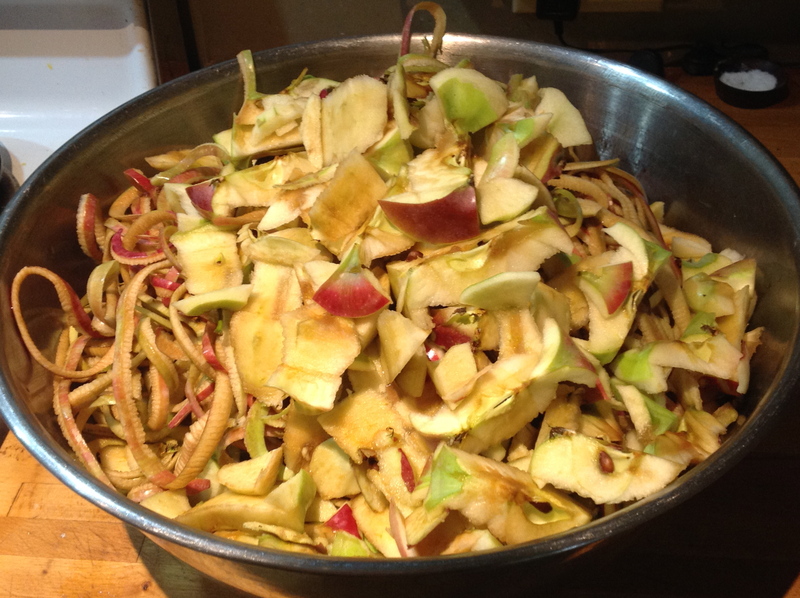 The peels and cores can be cooked to make apple jelly, but today the chickens had an apple feast! Applesauce is easy to make, can be made anytime, with most of the apple varieties commonly available. 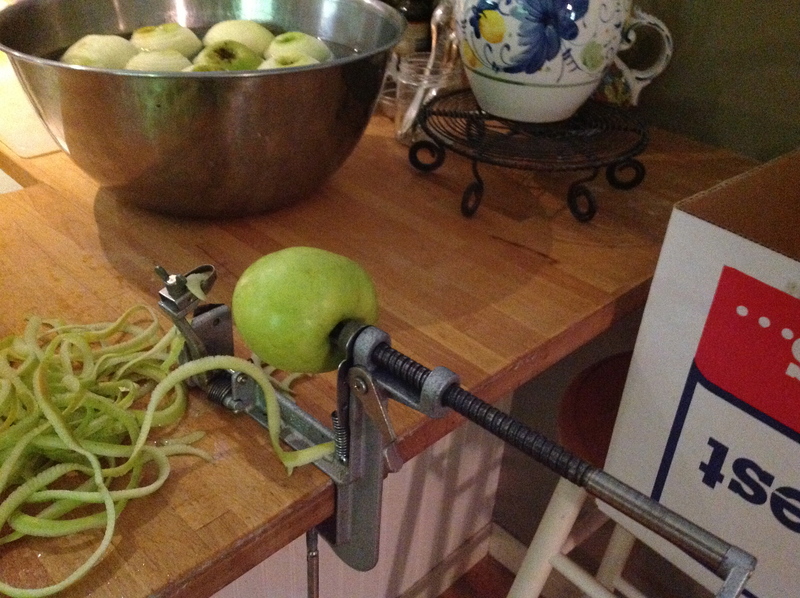 If you don’t have a nifty peeler like mine, use the standard hand-held version. 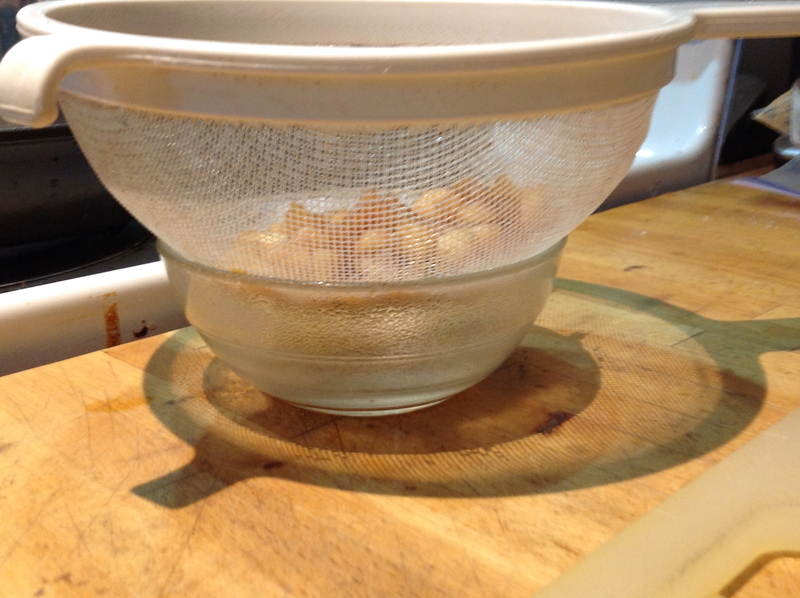 If you don’t want to peel but don’t own a food mill, push the cooked apples through a fine mesh sieve. Allowing time for a unrushed experience, something as mundane as peeling apples or sievering the cooked fruit is quite meditative, bringing comfort to your soul, as well as your belly.